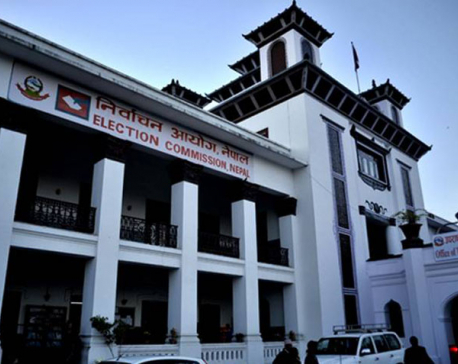 KATHMANDU, July 14: Some of the election commissioners already have two vehicles, but the Election Commission (EC) is procuring expensive new vehicles for all five commissioners. The election body on Friday published a public notice asking eligible suppliers to come up with proposals for the purchase of Sports Utility Vehicles (SUVs) for the commissioners. As per the public tender, the security amount for the five SUVs is 3 million. This amount is usually 2.5 to 3 percent of the total procurement cost. The total comes to around Rs 110 million. A retired election official said the SUVs specified in the tender cost around Rs 23 million each. This is the EC's second attempt to purchase new vehicles for its commissioners. A previous plan to purchase SUVs was cancelled after the Finance Ministry did not give its consent. Former EC secretary Gopinath Mainali was transferred when he protested the commissioners' decision to buy new vehicles. He argued that the EC already had enough cars and no budget had been allotted for new ones. Commissioners had pressed Mainali to include the vehicles in the election materials category although this is not in keeping with the election law. Irked by Mainali's 'non cooperation' the commissioners approached Prime Minister Sher Bahdaur Deuba. Following the commissioners' complaint, Mainali was shunted to the Office of the Prime Minister. Joint-secretary Maheshwor Neupane has been appointed in his place. Soon after his appointment as acting EC secretary, Neupane requested the Ministry of Finance to purchase the new vehicles. But the ministry declined the request, saying no budget was allotted for that. However, a senior ministry official said no consent has been sought from the ministry. "They have not consulted us this time. We don't even know whether this fiscal year's budget has allotted money for the election commission," said the official. Informed sources at the election body said five Toyota Land Cruisers had been procured for the commissioners ahead of the 2008 Constituent Assembly elections. Apart from these luxury cars, the EC purchased 73 pickup vans. The pickup vans were distributed to the district election offices and the cars were used by the commissioners. The commission received new vehicles for the 2013 second CA elections as well. The United Nations Development Program purchased four Toyota Land Cruisers and two pickups for the commission. Apart from these, the EC purchased five Scorpios. The Scorpios were distributed to the regional election offices. Ahead of the May 14 local elections, India provided seven Scorpio jeeps, four sedans and one Mahindra XUV-500 car for the EC. 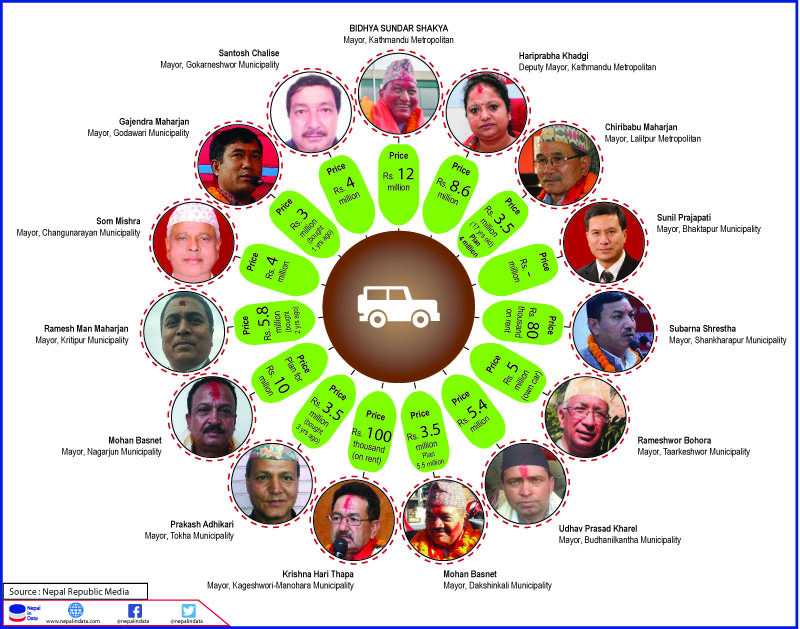 It also received 35 double-cabin pickups, one minibus, one microbus, 30 Pulsar motorcycles and seven scooters in May as requested by the Nepal government. The EC is arguing that the vehicles they are using are too old. "The vehicles which we are using are 12-years old. They have incurred a huge financial expenditure for the office as we are forced to travel by plane," said Election Commissioner Ishwari Paudyal. Paudyal has claimed that he has only one car. In an interview with Republica, one commissioner stated that all five commissioners and the EC secretary have two cars each. The vehicles, according to the commissioner, were incurring a huge expense for the commission.